Green Radio helps you lead a more eco-friendly lifestyle. 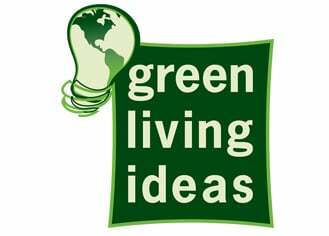 Navigate the explosion of green and ecology-oriented products and services with host, Sean Daily, CEO and co-founder of GreenLivingIdeas.com. Support the environment by changing your preferences and behaviors, not by simply increasing consumerism. Sean entertains and educates you with smart choices on products and services in the green world through interviews with innovative and caring companies, authors and experts from around the world. Hear the critical issues facing the global environment today, as well as the technologies, products and practices you can employ to go green in every area of your life including alternative energy and fuels, green building and remodeling materials and practices, organic and natural foods, natural medicine and health, hybrid and electric cars and motorcycles, eco-tourism and green hospitality, forestry management and green printing, green real estate, co-housing communities, natural body care, recyclable carpet and clothing, eco-friendly diapers, wind-powered appliances, solar water heating, fair trade consumables, organic wine and viticulture, bio-dynamic farming, recyclable shopping bags, green office practices, green banking and all of the freshest ideas in green living! GreenTalk Radio host Sean Daily talks with author Annie Leonard about her book The Story of Stuff. Stuff. We're continually dealing with finding it, buying it, selling it, trading it, and disposing of it... There's no doubt that dealing with stuff is a huge part of most people's lives, especially in the US. However, one question people rarely ask themselves is: Where does all my Stuff come from? Or other important questions, like: What goes into my stuff, and who and what is required -- and affected, to allow me to be able to buy that DVD player at Walmart, that shirt at Banana Republic, or just about any other consumer good people typically buy these days? One person who has asked that question intensively for many years is today's guest Annie Leonard. She is an author and activist who has spent the past 10 years traveling the globe fighting environmental threats, and doing research for her newly published book entitled "The Story of Stuff: How Our Obsession with Stuff Is Trashing the Planet, Our Communities, and Our Health-and a Vision for Change." In 2007 she also narrated a short film version of the Story of Stuff book which has made its rounds on the Internet, in which she delivers a rapid-fire, often humorous and engaging story about .... well, stuff—where it comes from, and where it goes when we throw it away. GreenTalk Radio host Sean Daily talks with Wayne Ferreira of EcoloBlue about water extracting from air that is pure and tastes like water from the highest mountain stream. GreenTalk radio host Sean Daily talks with film and TV actress, author, and natural living advocate Mariel Hemingway about her new book and website Mariel's Kitchen. She created Mariel's Kitchen™ in hopes of defining a new awareness for better health choices. The concept is the culmination of years studying diet, nutrition and medicine - both traditional and integrated methods. By utilizing a network of experts in their fields, she can now offer choices, a breadth of products and lifestyle suggestions from an important centerpiece in her life -- her "kitchen." GreenTalk Radio host Sean Daily talks about buying products that are "better for you and better for the planet" with Doug Farquar. founder and CEO of BuyGreen. 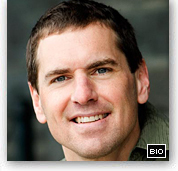 Doug helped to create the site in response to his own search for earth-friendly products. The goal of BuyGreen is to provide the best possible buying experience by offering a wide range of products, the tools needed to understand why a product qualifies as 'green', and superior customer service. Host Sean Daily talks with Fabien Cousteau, grandson of world famed explorer Jacques-Yves Cousteau, about his efforts to preserve our ocean ecosystems. The discussion covers rising sea levels, seas of floating plastic garbage, ocean pollution and disappearing marine life species and the resultant effects on the ecosystem and his new initiative Plant a Fish. GreenTalk Radio Host Sean Daily talks about Greywater with Laura Allen, co-author of "Guerrilla Greywater Girls Guide to Water" about her work towards a sustainable water future for all. GreenTalk Radio host Sean Daily talks with Founder and Editor of LighterFootstep.com and moreminimal.com, Chris Baskind, about being an eco-publisher and blogger, going car-free, bicycles, and living cheap as the new green. GreenTalk Radio's Sean Daily speaks to Denise Russo of Thirst Aid Live. The lack of clean, safe drinking water is presently one of the most critical issues for much of the world's population, and a full-blown crisis for many of the world's poor nations. Consider this staggering fact: According to UNICEF and the UN, on a global basis, 4500 children die each day from disease and conditions related to unsafe drinking water..that's 1 in 5 children under the age of 5..or 1 child every 15 seconds. GreenTalk Radio's Sean Daily speaks with Ariel Schwartz, a writer and blogger focused on cleantech and related topics. She serves as the editor of Cleantechnica.com, a blogger for TriplePundit.com, and a writer for FastCompany.com. She has worked in publishing, organic farming and in newspaper journalism. GreenTalk Radio's Sean Daily talks to Peter Cleary about LifeStraw, a water purifier that helps to get access to safe drinking water at home and outside in regions where water is an issue. LifeStraw is made by Vestergaard Frandsen. an international company specializing in complex emergency response and disease control products. GreenTalk Radio host Sean Daily speaks with Tom Schey, President of Minimal Productions. Schey is now leading green home building in Southern California and is the author of an upcoming book on fun ways to green up your life. 737conserve is an incredibly advanced, beautiful intellectual home. One of the most advanced smart homes ever built. The structure will most certainly generate more electricity than it uses. A home that embraces water and energy conservation in ways not yet part of the residential building landscape. GreenTalk Radio host Sean Daily talks with Founder and Editor of Eco Child's Play, Jennifer Lance, about a host of green topics, including living off the grid, organic gardening and green parenting. GreenTalk Radio host Sean Daily talks blogging with Adam Shake of Twilight Earth and Eco Tech Daily. Adam and his business partner Derek Markham were named by TreeHugger as the "Celebrity Twitter Duo" and Mother Nature Network called Twilight Earth "One of the 10 Green Twitterers you should follow." With over 10,000 followers on Twitter and thousands of other friends and contacts across a wide spectrum of Social Media sites, Twilight Earth is is sharing the latest and most current environmental news with people all over the world. GreenTalk Radio host Sean Daily speaks with Ryan Hreljac, of Ryan's Well. At the age of 6, he began his active life of advocacy for water-poor communities in 1998 when he determinedly focused his sights on building a single well for a dry village in Africa. The story touched hearts and launched an avalanche of media reports, films, inspirational book chapters, and speaking requests that resulted in more donations and attention to water issues than he could have imagined. In 2001, with support of family and other volunteers, Ryan established the Ryan’s Well Foundation, a registered Canadian charity that helps build wells, educates children about water and sanitation, and motivates people of all ages and backgrounds to perform their own “power of one” miracles. Green Talk Radio host Sean Daily talks high end, eco-friendly luxury homes with Rick Byrd, of Byrd Development. Rick is now regarded as one of the premiere green building experts and is builder-personality for the show called "Alter Eco" starring Adrian Grenier on the new Planet Green network. GreenTalk Radio host Sean Daily talks with environmental blogger Rob Reed, the visionary behind Max Gladwell, a leading independent blog that covers the nexus of social media and green living. Max Gladwell is not a person but rather an ideal and worldview. It represents the belief that our social and environmental problems are solvable, that entrepreneurs will lead the way to those solutions, and that social media will play a central role. Through the Max Gladwell brand, Reed provides strategic and tactical marketing services to companies seeking to utilize social media to connect with their customers, specifically those with a green message. GreenTalk Radio host Sean Daily talks to Stephanie Thornton of the EPA about their WaterSense program. Much like the EnergyStar program, WaterSense seeks to help Americans to save water and protect the environment, by creating product efficiency standards that manufacturers must meet in order to receive the WaterSense certification label on their products. GreenTalk Radio host Sean Daily talks about the health and environmental concerns within the natural beauty care products industry with Ido Leffler, CEO of Yes To, Inc., whose brand line-up includes Yes to Carrots. GreenTalk Radio show host Sean Daily speaks with David Anderson, co-founder of Green Options Media about the story behind Green Options and their post Virgance acquisition future. Green Talk Radio host Sean Daily speaks to Henrik Fisker, CEO and lead designer of Fisker Automotive. Henrik is the man responsible for the much-anticipated luxury plug-in hybrid vehicles, the Fisker Karma and the Fisker Karma S convertible. Green Talk Radio host Sean Daily talks with Sam Bozzo of Purple Turtle Films about his new award-winning film: "Blue Gold: World Water Wars". Part 2 of a 2-part interview. Green Talk Radio host Sean Daily talks with Sam Bozzo of Purple Turtle Films about his new award-winning film: "Blue Gold: World Water Wars". Part 1 of a 2-part interview. Green Talk Radio host Sean Daily talks to Kal Nanji of Armstrong Cabinets about about sustainability trends with cabinetry in green home building and remodeling. Green Talk Radio host Sean Daily speaks with Ed Rodgers of Caesar Stone about the use of quartz, one of natures hardest stones, to create brand new surfacing and counter top products. Host Sean Daily talks subject with filmmaker Irena Salina, director of the documentary "FLOW: How Did a Handful of Corporations Steal Our Water?" about the global water crisis and her experience making the film. Host Sean Daily talks with environmental politics blogger Tim Hurst, editor of RedGreenandBlue.org and publisher of Ecopolitology.org, about his writing and the role of new and social media in environmental politics and activism. GreenTalk Radio host Sean Daily talks about attachment and natural parenting concepts and resources with Attachment Parenting International (API) founders Barbara Nicholson and Lysa Parker, who also co-authored the upcoming book "Attached at the Heart". GreenTalk Radio host Sean Daily talks home winter heating and summer cooling efficiency tips with Budd Goldman, President of Ellery Homestyles, makers of energy-efficiency Eclipse Curtains. GreenTalk Radio host Sean Daily talks about business strategies and opportunities in the new green economy with author and GreenBiz.com executive editor Joel Makower. GreenTalk host Sean Daily talks with Daniel Lyons and Jack Short of Factory Green, a purveyor of eco-friendly, fashion-forward apparel, accessories, and apartment wares, provides socially and environmentally aware consumers with an expressive way to live green. GreenTalk Radio host Sean Daily talks about achieving personal productivity and a simpler and happier life with Leo Babauta, founder and lead blogger at ZenHabits.net. GreenTalk Radio host Sean Daily talk Maryanne Conlin, a lead writer for the green business-focused blog Ecopreneurist.com, and a marketing consultant with expertise in targeting LOHAS consumers. GreenTalk Radio host Sean Daily talks about the history of TreeHugger.com, green holiday tips, and going green to save green with Meghan O'Neill, Editor of the popular websites TreeHugger.com and PlanetGreen.com. GreenTalk Radio host Sean Daily talks with Cisco Pinedo, owner of Cisco Brothers Corporation, a furniture manufacturer in Los Angeles, California, who is producing an entirely clean and healthy line of sustainable furniture in fresh designs. GreenTalk host Sean Daily talks with Mickey Millsap of uShip. uShip.com is an online shipping marketplace where members list anything they need shipped, from household goods to vehicles to freight, and receive bids from thousands of feedback-rated service providers. GreenTalk Radio host Sean Daily talks with Derek Markham, a green blogger specializing in natural parenting and natural foods topics. His work is featured on the green parenting blogs EcoChildsPlay.com, NaturalFather.blogspot.com, and API Speaks at attachmentparenting.org. GreenTalk Radio host Sean Daily talks with Danielle Brigida, a marketing and social media expert working with the National Wildlife Federation. GreenTalk Radio host Sean Daily talks about clean energy products, corporate sustainability initiatives, and cost-effective carbon offset solutions with Gillan Taddune, Chief Environmental Officer of BeGreen/Green Mountain Energy Company. GreenTalk Radio host Sean Daily talks with Dennis Bilowus and Bill Keech of AEC Software, a Sterling, VA based software company that develops and publishes project-focused and business productivity solutions for Windows and Mac. Host Sean Daily talks with Jules Dervaes of Path to Freedom. Path to Freedom is a family-operated urban homestead established in 2001 in Pasadena, California by Jules Dervaes. The family also runs a successful business providing fresh produce to local restaurants. GreenTalk Radio host Sean Daily talks about building green homes, energy-efficient, and affordable homes Don Ferrier, President of Ferrier Custom Homes. GreenTalk Radio host Sean Daily talks with green blogger, publisher and supermom Jill Fehrenbacher, founder of green design blog Inhabitat.com and its new eco-parenting sister site Inhabitots.com. Host Sean Daily talks water conservation strategies and industry water efficiency standards with Rob Zimmerman of Kohler. GreenTalk Radio host Sean Daily talks with green blogger and ecofashionista Starre Vartan of Eco-Chick.com. GreenTalk Radio host Sean Daily talks subject with Sara Ost, blogger, founder, and Editor-In-Chief of EcoSalon.com, which covers fashion, wellness, and lifestyle topics for women and garnered 60,000 subscriptions in its first 6 months. GreenTalk Radio host Sean Daily talks about the bourgeoning industry of green building and the qualities of a green real estate property and with Greg Reitz, Principal and Founder of REthink Development. GreenTalk Radio host Sean Daily talks with green blogger Paul Smith from TriplePundit.com and Ecopreneurist.com. GreenTalk Radio host Sean Daily talks with green blogger and eco-entrepreneur Shea Gunther of EarthFirst.com. GreenTalk Radio host Sean Daily talks about fuel-saving driving tips and technologies with Michael Silva-Morales of PLX Devices, makers of the Kiwi. GreenTalk Radio host Sean Daily talks tips for parents in buying, exchanging, and reusing goods using web-based communities with blogger Carmen Staicer of Zwaggle.com. GreenTalk Radio host Sean Daily talks with Sabrina Walasek of Blue Planet Run Foundation, which has a vision of a world where everyone has access to safe drinking water and healthy human beings have a chance to live up to their potential. In this installment of GreenTalk Radio’s series featuring top green bloggers, host Sean Daily talks to Jeff McIntire-Strasburg, publisher of Sustainablog.org and Content Director at Green Options. In this installment of GreenTalk Radio’s series featuring top green bloggers, host Sean Daily talks to Sommer Poquette, founder of GreenandCleanMom.org. Host Sean Daily talks with Vipe Desai of Project BLUE. Project BLUE, the national initiative established to raise funds in support of ocean and beach protection, continues to gain momentum as the campaign's second year officially gets underway. Host Sean Daily talks about eco-friendly interior decorating and integrating sustainable materials into a home setting with Lara Fishman, Principal and Founder of Storm Interiors. Host Sean Daily talks about the importance of waste reduction in minimizing the environmental impact of formal events and casual get-togethers with Johanna Walsh, CEO and Eco-Event Consultant at Twirl Management. GreenTalk Radio Host Sean Daily discusses simple living, anthropology and lesson from the Maya culture with Dr. Eric Gibson. GreenTalk Radio Host Sean Daily discusses safe, environmentally friendly paints for residential use with Rocky Prior, President and Chief Scientific Officer of Mythic Paint. GreenTalk Radio Host Sean Daily discusses maximizing the sustainability of a business by using eco printing processes with Mario Assadi, CEO of GreenerPrinter. GreenTalk Radio Host Sean Daily discusses the constituents, ethics, effectiveness, and availability of ecological household cleaning products with Kipling Rutherford-Sameshima, Marketing Associate with Ecover. GreenTalk Radio Host Sean Daily discusses greening business operations in the face of peak oil and climate change with Andre’ Angelantoni of Inspiring Green Leadership. GreenTalk Radio Host Sean Daily holds a panel discussion about reducing eWaste through equipment donations and the challenges this poses to businesses with Rob Zopf, Vice President of the National Cristina Foundation, and Ross Brouse, CEO of Solar VPS. GreenTalk Radio Host Sean Daily discusses the zero carbon car, high fuel efficiency vehicles, and alternative fuel technologies with Author William (Bill) Kemp. GreenTalk Radio Host Sean Daily talks about using technological components to remotely manage every aspect of your home’s energy and security systems with Raj Marya, President and CEO of Amazing Controls! GreenTalk Radio Host Sean Daily discusses retail goods business models and the market for second-hand, reused goods with Tony Shumpert, Vice President of Operations with Savers Recycling, Inc. Host Sean Daily, discusses rebuilding as a green community in the aftermath of a natural disaster with Daniel Wallach, Director of Greensburg GreenTown. Host Sean Daily talks with Renee Thomas of Esker about conserving paper and document management as strategies for combating paper addiction in the office. Sean Daily, Green Living Ideas' Editor-in-Chief, discusses current trends and future developments in the solar technology industry with Dan Thompson, Founder and CEO of SPG Solar. Sean Daily, Green Living Ideas’ Editor-in-Chief, talks with Chris Page, Director of Climate and Energy Strategy of Yahoo! Green, about new Yahoo! announcements, the corporation’s commitment to carbon neutrality, and the specifics of achieving neutrality on a corporate level through carbon projects and third party certification. Sean Daily, Green Living Idea's Editor-in-Chief, discusses solar space heating technologies and strategies with Bob Ramlow, Author and Owner of the Artha Sustainable Living Center. Sean Daily, Green Living Ideas’ Editor-in-Chief, talks with Gerald Prolman, CEO of Organic Style, about organic flowers, the development of Organic Bouquet, and the evolution of organic goods online and within the corporate marketplace. Click here for Organic Style Magazine! Sean Daily, Green Living Ideas' Editor-in-Chief talks with Lindsay Barczuk, Green Programs Coordinator at Carlisle Wide Plank Floors, about the process of prefinishing green flooring as an effective way to control VOC-offgassing during home floor installation. Sean Daily, GreenLivingIdeas' Editor-in-Chief, talks with Ross Brouse, CEO of SolarVTG, about solar-powered web server hosting for personal and professional applications. Sean Daily, Green Living Ideas' Editor-in-Chief, talks with Tom Diehl of Eco Alliance Synthetic Grass about sustainable options for synthetic turf as a green alternative to conventional lawns. Sean Daily, Green Living Ideas' Editor-in-Chief, discusses small home living and the growth of New Urbanism with Sarah Susanka of Susanka Studios, author of The Not So Big House. Sean Daily, Green Living Ideas' Editor-in-Chief, talks with Mike Mueller and Alana Nelson, co-founders of Perfect Earth Tours, about the new destination getaway for green tourists -- the eco spa resort. Sean Daily, Green Living Ideas' Editor-in-Chief, and Dave Dahl, founding partner of Dragon Pearl Tea, delve into the source of "true" tea and the connoisseurship of high-quality, whole-leaf organic teas. Sean Daily, Green Living Ideas' Editor-In-Chief, talks with Jeff Morrill, Director of Marketing for Vectrix, about the burgeoning market for high-performance, low-emissions, and fuel efficient 2-wheel electric vehicles. Sean Daily, Green Living Ideas' Editor-In-Chief, talks to eco-coach and environmental business consultant Anca Novacovici of Eco-Coach about sustainable and green business practices, and what employers and employees can do to go green at work. Sean Daily, Green Living Ideas' Editor-In-Chief, talks with fellow green living podcaster Meredith Medland of Personal Life Media's popular Living Green Show about green media and podcasting, life-changing epiphonies, and the benefits of martial arts practice. Sean Daily, Green Living Ideas' Editor-In-Chief, discusses sustainable holiday packing and shipping technologies and tips with Lynette McIntire, Media Relations Representative for United Parcel Service (UPS). Sean Daily, Green Living Ideas' Editor-In-Chief, talks about the green building value of radiant heating and subfloors with Terry Alsberg, CEO and Inventor of Warmboard Radiant Subfloor. Sean Daily, Green Living Ideas' Editor-In-Chief, talks about the use of recycled wood products in green home building and remodeling projects with Chris Leffel, VP of Sales and Marketing at SierraPine. Sean Daily, Green Living Ideas' Editor-In-Chief, discusses hemp foods, oil, myths, and realities with Mike Fata, President and Co-founder of Manitoba Harvest. Sean Daily, Green Living Ideas' Editor-In-Chief, talks Neighborhood Electric Vehicles (NEVs) and EEStor's promising new battery technologies with Ian Clifford, CEO of ZENN Motor Company. Sean Daily, Green Living Ideas' Editor-In-Chief, discusses the environmental and quality of life benefits of teleworking and telecommuting with guest Michelle Knab, Product Manager for GoToMyPC. Sean Daily, Green Living Ideas' Editor-In-Chief, discusses biodynamic winemaking, vineyards, and farming with Katrina Fetzer, Director of Sales and Marketing for Ceago Vinegarden. Sean Daily, Green Living Ideas' Editor-In-Chief, talks about LED lighting with Charles Costigliola, Senior Vice President of Advanced Lumonics. Sean Daily, Green Living Ideas' Editor-In-Chief, discusses Gas-Powered Copper Light Fixtures with Mitch Mitchell, Senior Vice President of Charleston Gas Light. Sean Daily, Green Living Ideas' Editor-In-Chief, talks about sustainable forestry management with Katie Miller, Communications Director for the Forest Stewardship Council. Sean Daily, Green Living Ideas' Editor-In-Chief, discusses indoor air quality & product certifications with Laura Spriggs, Communications Manager for GREENGUARD. Sean Daily, Green Living Ideas' Editor-In-Chief, talks about the sustainable side of green real estate investing with Tiffany Elston, Development Associate for Green Key Real Estate. Sean Daily, Green Living Ideas' Editor-In-Chief, discusses cohousing communities with Kathryn McCamant, President of CoHousing Partners. Sean Daily, Green Living Ideas' Editor-In-Chief, talks about natural body, skin and hair care products with Jessica Iclisoy, President of California Baby. Sean Daily, Green Living Ideas' Editor-In-Chief, discusses cradle-to-cradle recyclable and recycled carpet with John Bradshaw, Environmental Marketing Manager for Shaw Floors. Sean Daily, Green Living Ideas' Editor-In-Chief, talks about affordable wind power appliances for residential and commercial use with Mike Hess, CEO of Mariah Power. Sean Daily, Green Living Ideas' Editor-In-Chief, discusses saving paper, ink, money, and trees through efficient printing with Hayden Hamilton, Founder and CEO of GreenPrint Software. Sean Daily, Green Living Ideas' Editor-In-Chief, talks about Fair Trade, organically grown Yerba Mate energy drinks with David Karr, Co-Founder of Guayaki. Sean Daily, Green Living Ideas' Editor-In-Chief, discusses organic wine and viticulture techniques with Aaron Webb, Brand Director at Bonterra. Sean Daily, Green Living Ideas' Editor-In-Chief, talks about re-usable and recyclable shopping bags with Bill Clohessy, Business Development Manager for Green Bag. Sean Daily, Green Living Ideas' Editor-In-Chief, discusses going green in your office or business with Yalmaz Siddiqui, Environmental Strategy Advisor for Office Depot. Sean Daily, Green Living Ideas' Editor-In-Chief, discusses green banking and a renewed emphasis on community banking with Peter Liu, Co-Founder of New Resource Bank. Sean Daily, Green Living Ideas' Editor-In-Chief, talks about electric cars, car kits, and new battery technologies with Steve Heckeroth, electric vehicles expert and owner of Renewables. Sean Daily, Green Living Ideas' Editor-In-Chief, discusses solar water heating systems with Bob Ramlow, Author and Owner of the Artha Sustainable Living Center. Sean Daily, Green Living Ideas' Editor-In-Chief, talks about efficient ENERGY STAR products and the Change a Light Campaign with Wendy Reed, Campaign Manager for ENERGY STAR. Sean Daily, Green Living Ideas' Editor-In-Chief, talks about the World's first Gold LEED-Certified Green Hotel with Wen Chang, President of The Atman Hospitality Group. Sean Daily, Green Living Ideas' Editor-In-Chief, discusses the impact of mass-consumption and the merits of using less stuff with Bob Lilienfeld, Speaker and Author of Use Less Stuff. Sean Daily, Green Living Ideas' Editor-In-Chief, discusses natural beauty products and Community Trade ingredients sourcing with Shelley Simmons, America's Director of Values for The Body Shop. Sean Daily, Green Living Ideas' Editor-In-Chief, talks about natural, recycled, reusable and organic pet products with Aaron Lamstein, CEO of Worldwise. Sean Daily, Green Living Ideas' Editor-In-Chief, discusses health tips and dangers about drinking water with Colin Ingram, Author of The Drinking Water Book . Sean Daily, Green Living Ideas' Editor-In-Chief, talks about evaluating environmentally conscious companies with Wood Turner, Project Director for ClimateCounts. Sean Daily, Green Living Ideas' Editor-In-Chief, discusses eco-friendly, compostable, flushable, biodegradable diapers and landfill statistics with Jason Graham-Nye, Co-founder of gDiapers. Sean Daily, Green Living Ideas' Editor-In-Chief, talks about saving energy by using occupancy and daylighting controls with Jerry Mix, President of WattStopper. Sean Daily, Green Living Ideas' Editor-In-Chief, talks about the new Enertia Electric Motorcycle and new plug-in technologies with Craig Bramscher, CEO of Brammo. Sean Daily, Green Living Ideas' Editor-In-Chief, talks about eco-fashion and recycled clothing with Karyn Craven, Founder of Burning Torch. Sean Daily, Green Living Ideas' Editor-In-Chief, discusses Green Offices with Alex Szabo, Founder of The Green Office. Sean Daily, Green Living Ideas' Editor-In-Chief, talks about Ecofriendly Furniture with John Byfield, Owner of Zola Furnishings. Sean Daily, Green Living Ideas' Editor-In-Chief, discusses Green Spark Plugs for improved efficiency with Ram Mistry, VP of Sales at GreenPlugs. Sean Daily, Green Living Ideas' Editor-In-Chief, talks about the growing Solar Energy Market and current legislation with Tom Dyer, VP of Marketing at Kyocera Solar. Sean Daily, Green Living Ideas' Editor-In-Chief, discusses green and sustainable clothing with Ian Yolles, Vice President of Marketing at Nau. Sean Daily, Green Living Ideas' Editor-In-Chief, talks about Ayurvedic Medicine with Author and Ayurvedic Clinician Reenita Malhotra. Sean Daily, Green Living Ideas' Editor-In-Chief, discusses Ecotourism with Greg Findley, CEO of Detour Destinations. Sean Daily, Green Living Ideas' Editor-In-Chief, discusses Naturopathic Health with Elizabeth Large, Doctor of Naturopathic Medicine at Luna Medicine. Sean Daily, Green Living Ideas' Editor-In-Chief, talks about ethical and sustainable pest control methods with Dr. Jeff Lloyd, Vice President of Research and Development at Nisus Corporation. Sean Daily, Green Living Ideas' Editor-In-Chief, discusses water saving irrigation systems with Jeanne Nalbandian, Director of Sales and Marketing for Jardinier. Sean Daily, Green Living Ideas' Editor-In-Chief, talks about skylights in green home building projects with Steve Alfaro, Builder Development Manager at VELUX. Sean Daily, Green Living Ideas' Editor-In-Chief, talks green hearths and fireplaces with Scott Andrunus, Director of Marketing for Lennox Hearth Products. Sean Daily, Green Living Ideas' Editor-In-Chief, talks raw organic food and cooking with Bryan Au, author of the book, Raw in Ten Minutes. Sean Daily, Green Living Ideas' Editor-In-Chief, discusses the topic of pre-fabricated green homes with Steve Glenn, CEO and Founder of Living Homes. Sean Daily, Green Living Ideas' Editor-In-Chief, discusses organic food labeling and standards with Craig Minowa, Environmental Scientist at the Organic Consumers Association. Sean Daily, Green Living Ideas' Editor-In-Chief, talks electric vehicles and drive systems with guest Tom Gage, President and CEO of AC Propulsion. Sean Daily, Green Living Ideas' Editor-In-Chief, discusses the topic of organic bedding, mattresses, furniture, and other products with Mark Sweiger of Dax Stores. Sean Daily, Green Living Ideas' Editor-In-Chief, talks about green spas with Michael Stusser, Founder and CEO of Osmosis. Sean Daily, Green Living Ideas' Editor-In-Chief, learns about the Forest Stewardship Council (FSC) certification from guest Lewis Erick Buchner, CEO of EcoTimber. Sean Daily, Green Living Ideas' Editor-In-Chief, talks about how to improve home energy efficiency using tankless water heaters Mike Murtaugh, Marketing Manager fo Rinnai America. Sean Daily, Green Living Ideas' Editor-In-Chief, discusses the topic of sustainable and recycled wood flooring for green home projects with Lindsay Barczuk of Carlisle Wide Plank Flooring. Sean Daily, Green Living Ideas' Editor-In-Chief, talks with Amy Hemmert, Founder and Owner of Laptop Lunches / Obentec about reusable lunch containers for children and adults. Sean Daily, Green Living Ideas' Editor-In-Chief, talks about the use of natural clay plasters for healthier homes with Carol Baumgartel, VP Sales and Marketing at American Clay. Sean Daily, Green Living Ideas' Editor-In-Chief, talks technology recycling and reuse with Green Living Ideas Technology Green Guru, Joshua Levitt of UsedCisco.com. Sean Daily, Green Living Ideas' Editor-In-Chief, talks with David Kram, Energy Specialist for the Rising Sun Energy Center of the California Youth Energy Services about how California residents can get free home energy audits as well as energy-efficient lightbulb replacements and other energy-saving devices. Sean Daily, Green Living Ideas' Editor-In-Chief, discusses green living tips and carbon calculators with Meg Garlinghouse, Director of the Yahoo! for Good division of Yahoo! Green. Sean Daily, Green Living Ideas' Editor-In-Chief, discusses alternative fuel and hybrid vehicles with guest Mary Nickerson, National Marketing Manager for Toyota. Sean Daily, Green Living Ideas' Editor-In-Chief, discusses the topic of natural paints with Meredith Aronson, President of Green Planet Paints. Sean Daily, Green Living Ideas' Editor-In-Chief, discusses the topic of what to look for in green building materials with Mike Loughery, Communications Manager for CertainTeed. Sean Daily, Green Living Ideas' Editor-In-Chief, discusses the topics of non-toxic household cleaning products and green bathroom remodeling with the "Queen of Green," author and blogger Debra Lynn Dadd. Sean Daily, Green Living Ideas' Editor-In-Chief, discusses Yahoo!’s Greenest City in America Contest with Matt Rossen, Mayor of Hastings, Nebraska, the winning US city. Sean Daily, Green Living Ideas' Editor-In-Chief, discusses the topic of what makes for green entry/exterior doors in green home building/remodeling projects with Jim McElroy, General Manager of Product Marketing for Therma-Tru. Sean Daily, Green Living Ideas' Editor-In-Chief, discusses the topic of eco-friendly appliances and differences in European vs. American efficiency standards with Danyel Tiefenbacher, Brand Manger of Bosch. Sean Daily, Green Living Ideas' Editor-In-Chief, discusses the topic of sustainable woods and how to choose eco-friendly furniture with David Putzel, Product Development Manager of Environment Furniture. Sean Daily, Green Living Ideas' Editor-In-Chief, discusses the importance of proper ventilation and air quality in healthy and green homes with Mark Bernfeld, President of Tamarack Technologies. Sean Daily, Green Living Ideas' Editor-In-Chief, discusses the topic of the smaller homes living movement, and how downsizing helps you go green with Shay Solomon, author of Little House on a Small Planet and Co-Founder of The Small House Society. Sean Daily, Green Living Ideas' Editor-In-Chief, discusses the importance of building envelopes in creating energy-efficient, green homes with Bob Dahl, Director of Marketing for Typar. Sean Daily, Green Living Ideas' Editor-In-Chief, discusses the topic of little-known facts about the power industry, solar/alternative energies, and California's energy initiatives with Keely Wachs, Environmental Communications Manager for Pacific Gas and Electric. Sean Daily, Green Living Ideas' Editor-In-Chief, discusses the topic of Hybrids and the future for Honda's alternative fuel technologies and vehicles with Alicia Jones, Corporate Communications Supervisor at Honda. Sean Daily, Green Living Ideas' Editor-In-Chief, discusses how to go greener using energy- and water–efficient kitchen and laundry appliances with Butch Gaudette, Director of Trade Relations for Whirlpool. Sean Daily, Green Living Ideas' Editor-In-Chief, discusses the topic of home solar installation projects facts and tips with Sergio Severo, Director of Marketing for Sun Technics. Sean Daily, Green Living Ideas' Editor-In-Chief, discusses the topic of greening your work life through telecommuting and remote technologies with Bernardo de Albergaria, VP of eCommerce Marketing for Citrix Online. Sean Daily, Green Living Ideas' Editor-In-Chief, discusses the history, present, and future of electric cars with Alex Campbell, Director of Communications for Zap. Sean Daily, Green Living Ideas' Editor-In-Chief, discusses the use of intelligent irrigation technologies to save water and green your landscaping with Chris Spain, CEO of Hydropoint. Sean Daily, Green Living Ideas' Editor-In-Chief, discusses the topic of cool and innovative methods for daylighting your green home with Cynthia Sener, Marketing Director at Solatube. Sean Daily, Green Living Ideas' Editor-In-Chief, discusses green computing and what to look for in energy-efficient PCs with Mark Newton, Environmental Policy Manager for Dell. Sean Daily, Green Living Ideas' Editor-In-Chief, discusses the nationwide shift towards organic foods and produce and fair trade goods with Ashley Hawkins, Media Relations Coordinator for Whole Foods. Sean Daily, Green Living Ideas' Editor-In-Chief, discusses using renewable and sustainable wood flooring in green home building and remodeling with Doug Lewis, President of Bamboo Hardwoods. Sean Daily, Green Living Ideas' Editor-In-Chief, discusses the topic of energy efficiency solutions in automotive and building applications with Paul von Paumgartten, Director of Energy & Environmental Affairs for Johnson Controls. Sean Daily, Green Living Ideas' Editor-In-Chief, discusses the topic of Green building and remodeling tips and best practices with long-time green building expert and SF Bay Area remodeler Michael McCutcheon. Sean Daily, Green Living Ideas' Editor-In-Chief, discusses the topic of intelligently monitoring and controlling your home’s heating and cooling with Hal Alles, CEO of Home Comfort Zones. Sean Daily, Green Living Ideas' Editor-In-Chief, discusses the topics of organic wines, sulfites, and more with Paolo Mario Bonetti, President of Organic Vintners. Sean Daily, Green Living Ideas' Editor-In-Chief, discusses the topic of green home building products with Ron Jarvis, VP of Environmental Innovation for Home Depot. Sean Daily, Green Living Ideas' Editor-In-Chief, and Ron Kenedi, Vice President of Solar at Sharp, discuss the things that everyone should know about solar-photovoltaic power (on-grid and off). Sean Daily, Green Living Ideas' Editor-In-Chief, discusses how to choose water-efficient kitchen and bathroom appliances with Colin Thielman, Research and Development Director at Delta Faucet. Sean Daily, Green Living Ideas' Editor-In-Chief, discusses the topics of insulation and energy efficiency in green home building projects with Marty Sweeney, Green/Sustainability Market Development Leader at Owens-Corning. Sean Daily, Green Living Ideas' Editor-In-Chief, discusses the use of Low-VOC (low toxicity) paints in green building/remodeling projects and healthy homes with Steve Revnew, Director of Marketing for Sherwin Williams. Sean Daily, Green Living Ideas' Editor-In-Chief, discusses water-saving features in kitchen and bathroom fixtures with Rob Zimmerman, Senior Engineer-Water Conservation fo Kohler. Sean Daily, Green Living Ideas' Editor-In-Chief, discusses the topic of composite decking in green building with John Burns, Marketing Director for Trex. Sean Daily, Green Living Ideas' Editor-In-Chief, discusses the topic of building and remodeling sustainably using green doors and green windows with Cheryl Waits, Sales Director at Pella.